I created a logo symbol for the word, Flight, around my chosen theme – human achievement. My design was inspired by an Art Deco aesthetic since this period was the golden era of human aviation. 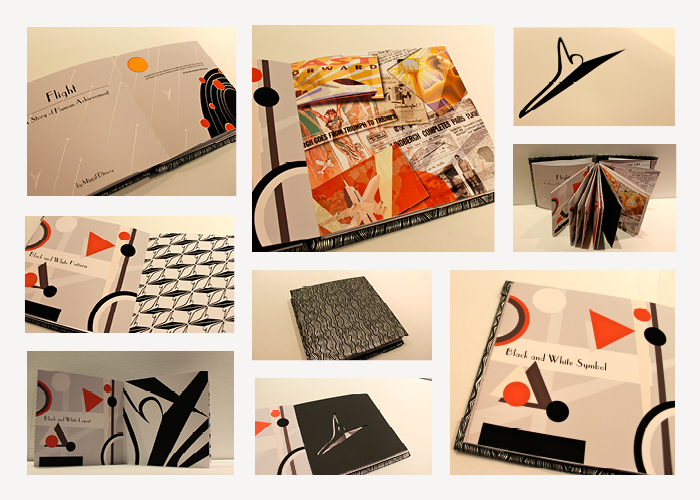 The pages include graphic layouts, patterns, collage, diecut and embossing that come together to create a brand identity. The book was bound as a flutter book, which is a modified accordion fold, to further evoke a sense of flight in the reader.